Baboons barrel escape, Baboons at a research facility in Texas escaped over the weekend by climbing out of their enclosure using a barrel. The four baboons escaped briefly on Saturday from their open-air enclosure at the Texas Biomedical Research Institute in San Antonio. The animals rolled a 55-gallon barrel upright near the wall of their enclosure and then climbed it to escape, according to mysanantonio.com. The enclosure was built nearly 40 years ago. The baboons were recovered within 30 minutes. One of the animals returned to the enclosure on his own almost immediately. Barrels were in the enclosure for enrichment, according to mysanantonio.com. They allow the animals to mimic foraging behavior. They have now been removed, according to KSAT in San Antonio. The research institute houses over 2,500 animals. Scientists use the animals in research on new vaccines and medicines, mysanantonio.com said. Some residents were concerned that the animals were carrying infectious diseases when they escaped, but the animals were not part of an active study, KSAT said. The animal capture team members sent to retrieve the escaped baboons were wearing masks and protective equipment. 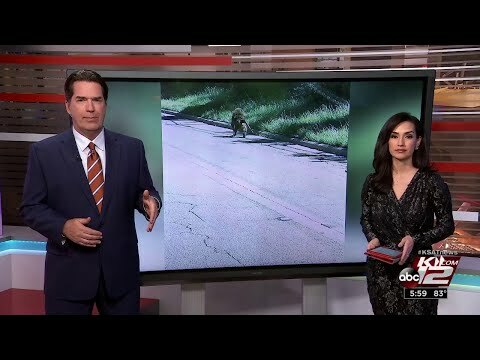 But that was because the baboons are susceptible to human illnesses, according to KSAT. None of the baboons were hurt during the escape, according to the station.